One of the nation’s hottest housing markets just broke a record in April. There were a reported 12,085 home sales in Toronto last month, according to the Toronto real estate board, who argues that figure could have been even higher had there been more supply. “While April’s sales result represented a new record for sales, that number could have been even higher if we had benefitted from more supply,” Toronto Real Estate Board President Mark McLean said. “In the City of Toronto in particular, some households have chosen not to list their home for sale because of the second substantial Land Transfer Tax and associated administration fee. 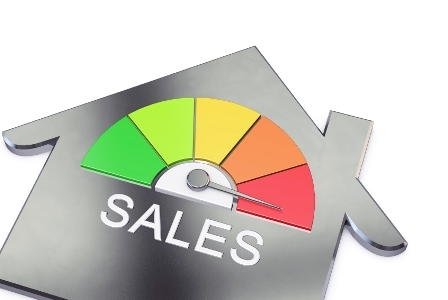 Sales increased 7.4% year-over-year in April, according to TREB, which set a monthly sales record. The lack of supply is likely one reason prices continue to sky-rocket as well. The average price in the City of Toronto increased from $690,058 to $766,472 over the past year. Prices in the GTA also saw an increase, settling in at an average of $739,082 – up from $636,094 a year ago. The Left often cite "unintended consequences" to their policies. I maintain however, it's their inability to think things thru. The greenbelt act drastically reduced suburban expansion. The left was only thinking of the forests and increased density to feed their obsession with transit (and hatred of the car). Now add the TO ppty tax that causes folks to not sell/move, and what do you get? A pressure cooker on prices, and making the middle class richer and the poor poorer - the exact opposite of what they claim to stand for. Now add ultra high electricity rates due to other twisted ideology, and the poor become down right down-trodden (then they scream about inequality and how they have to DOOOOOO SOMETHING!!!!). When will ppl realize the Left always make things worse - ALWAYS!!! LanceH, just to set the record straight, this act was brought in when the provincial Conservatives were in power. You are correct on all of your points except "the Left" did not initiate this Act. The Mike Harris government brought this in to gain support from rural voters.